You've heard by now that Cowboys' linebacker Damien Wilson was arrested Tuesday on an aggravated assault with a deadly weapon charge. With this news, it is expected that the Cowboys will enter the 2017 without their second most developmental prospect of a LB - with Wilson emerging as the starter at SAM in his second season. 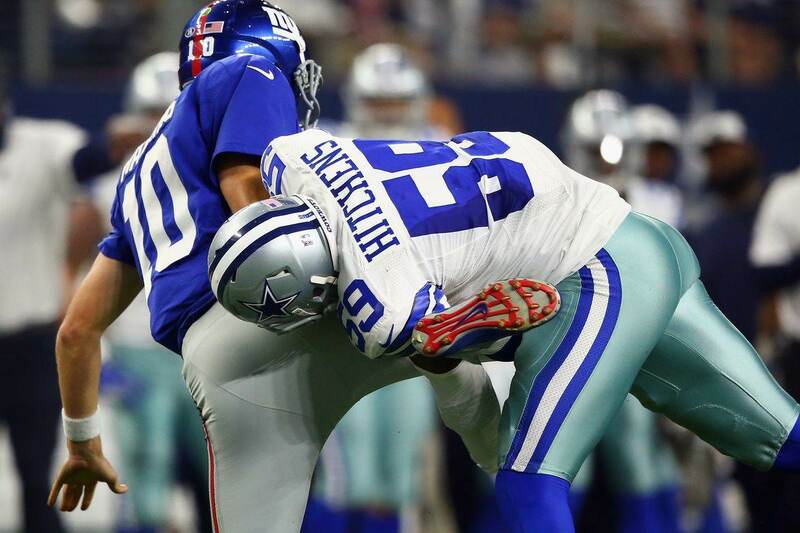 The most intriguing "developing" linebacker on Dallas' roster is obviously Jaylon Smith, and now for at least this exercise the team will be counting on #54 standing at MIKE linebacker staring down Eli Manning on September 10th. 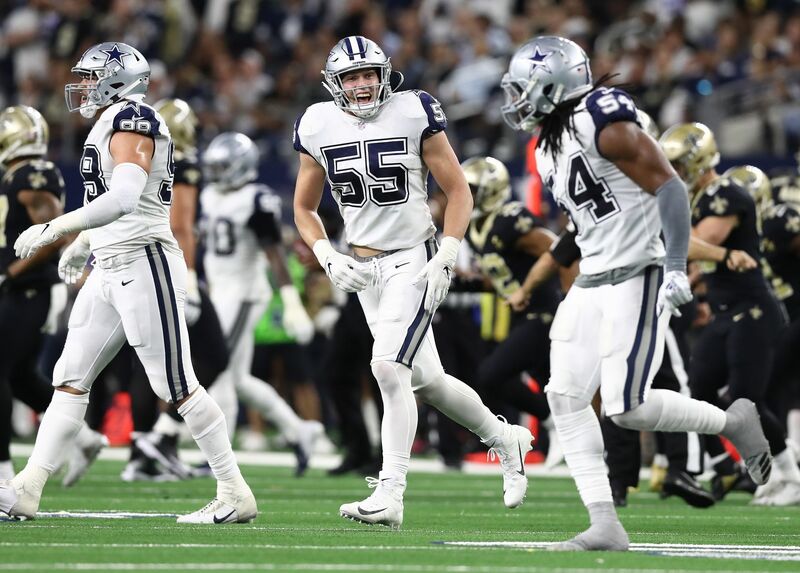 If this turns out to be the case, the belief is that Smith and Sean Lee will be the only two linebackers needed in Rod Marinelli's Nickel-heavy scheme. Potentially losing an athletic on-ball SAM like Wilson is still a significant blow to the Cowboys. It is however one they can handle. Assessing current fits on the Cowboys' roster to fill the SAM role starts with the current starter at MIKE, the steady Anthony Hitchens. Hitchens will be entering his fourth season (preparing to hit free agency following it) with the Cowboys, and reportedly stole the show earlier in the summer during minicamp - where physical defenders like him typically struggle without pads against faster offensive personnel. Anthony Hitchens could thrive in a rotational SAM LB role, with the ability to most importantly aid in run support while also possessing some cover skills on the second level. Damien Wilson's situation is very clearly far from ideal, but finding a role for a player that's stepped up when called upon like Hitchens should they be forced to "replace" him with Smith is far from the worst thing for Dallas to do. 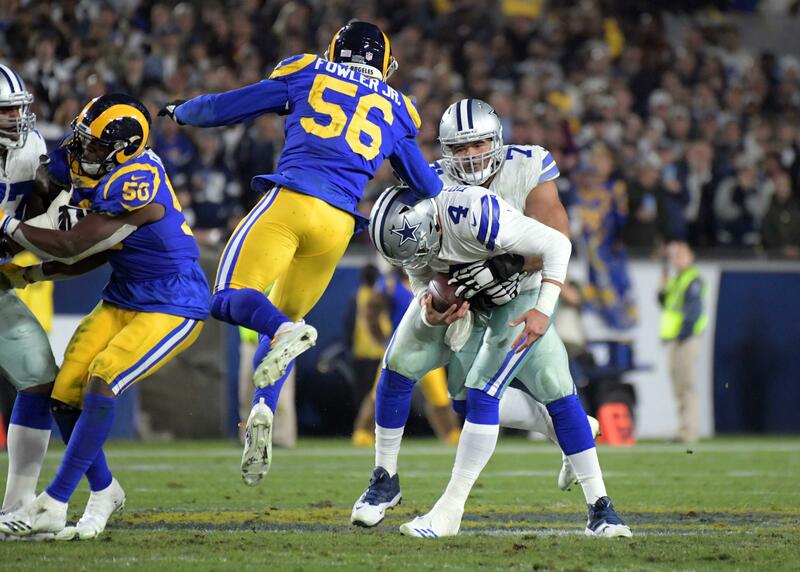 The depth at linebacker for the Cowboys to utilize at their third starting spot hardly ends with Hitchens, as the team is hopeful that Mark Nzeocha can finally remain healthy entering year three. 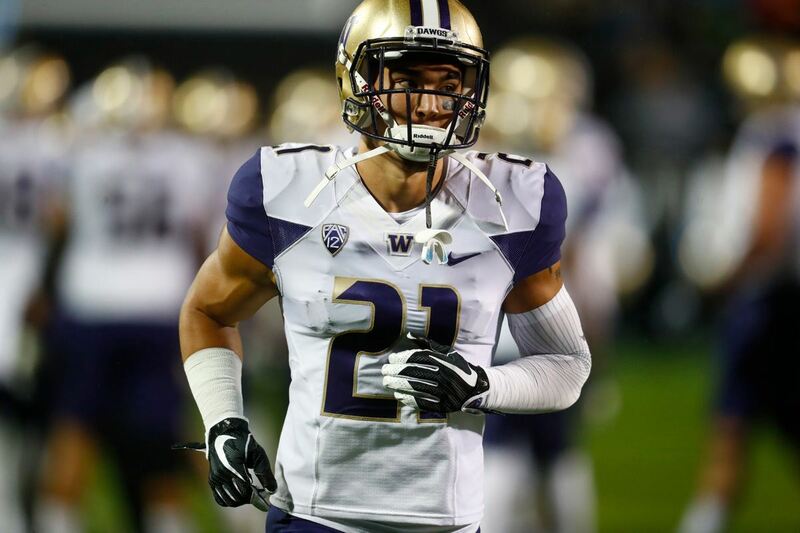 Already battling back from a post-OTA knee scope, a healthy Nzeocha is a viable option at all three linebacker positions in this scheme thanks to his speed, awareness, and tackling ability. You've probably heard about the Cowboys rushing to sign a Daryl Washington or Zach Orr in light of this Damien Wilson news, but even more buzz from Cowboys Nation has come out in support of John Lotulelei, Lucas Wacha, or even Kyle Wilber. Wilber is of course the most known name of this group, having served as a core special teams player for the Cowboys and hybrid linebacker/edge rusher in 2016. Lotulelei and Wacha could both provide competition in Wilber's efforts to expand his defensive role though, as John has bounced around the league since 2013 as a UDFA in Seattle, Jacksonville, and Oakland. Wacha is a Cowboys UDFA from this year that has already flashed special teams potential in his efforts to make a roster that is now in need of legitimate linebacker talent. It is July, and adding fresh faces to America's Team sounds like a fantastic way to speed up this slow portion of the offseason and head into training camp with some new toys. When it comes to preparing for the worst with starting SAM LB Damien Wilson though, the Cowboys are already in position to excel at linebacker in 2017 thanks to their starting WILL and MIKE hopeful Jaylon Smith. Just about everyone else in Matt Eberflus' room can and should get the opportunity to play in the third spot. Tell us what you think about "Cowboys Can Look Internally For Answers At LB Following Wilson Arrest" in the comments below. You can also email me at Sean.Martin@InsideTheStar.com, or Tweet to me at @SeanMartinNFL!